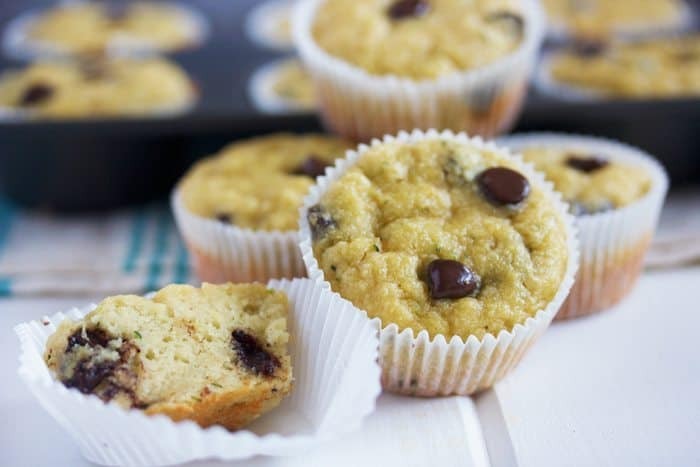 These Chocolate Chip Zucchini Muffins are fluffy, moist, and packed with good-for-you ingredients. I’ve finally found the perfect combination of flours using a mix of almond and coconut flour. 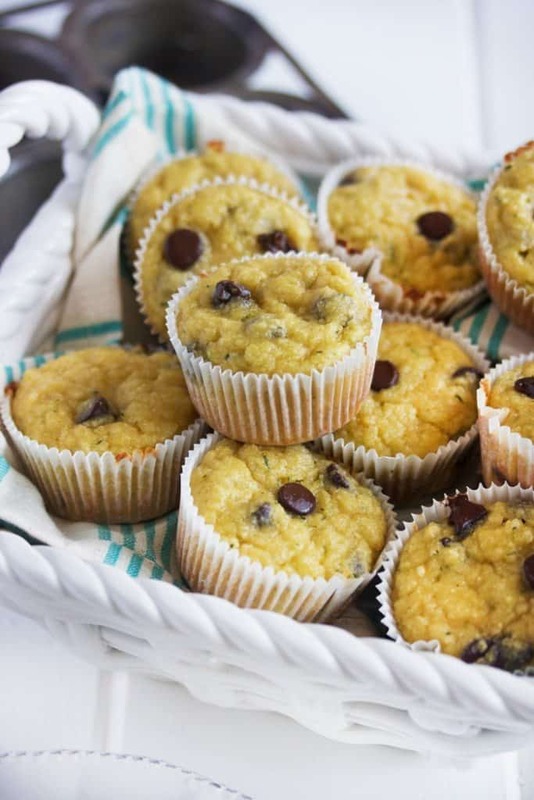 These are hands-down my favorite paleo-friendly muffin recipe thus far! 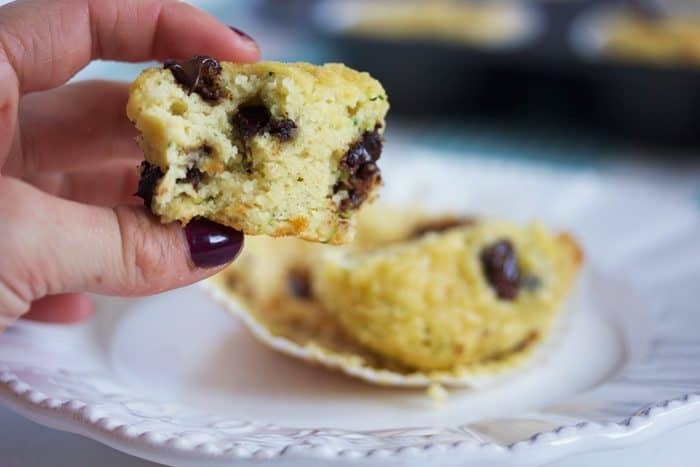 This gluten-free muffin recipe is made with unrefined sweeteners, zucchini, dark chocolate and is the perfect grab-and-go breakfast! Today I’m celebrating a few things. One being our move and the purchase of our first home, and the second that LCK turns ONE this week. I am so grateful for this journey; for the people I’ve met (and those I have only virtually met), and for the opportunities that have come my way. I never would have imagined that my passion could grow and impact so many of you in just a short year. Today, I am thankful for all of you; for continuing to read, try recipes, and communicate with me on a daily basis. Thank you from the bottom of my heart! 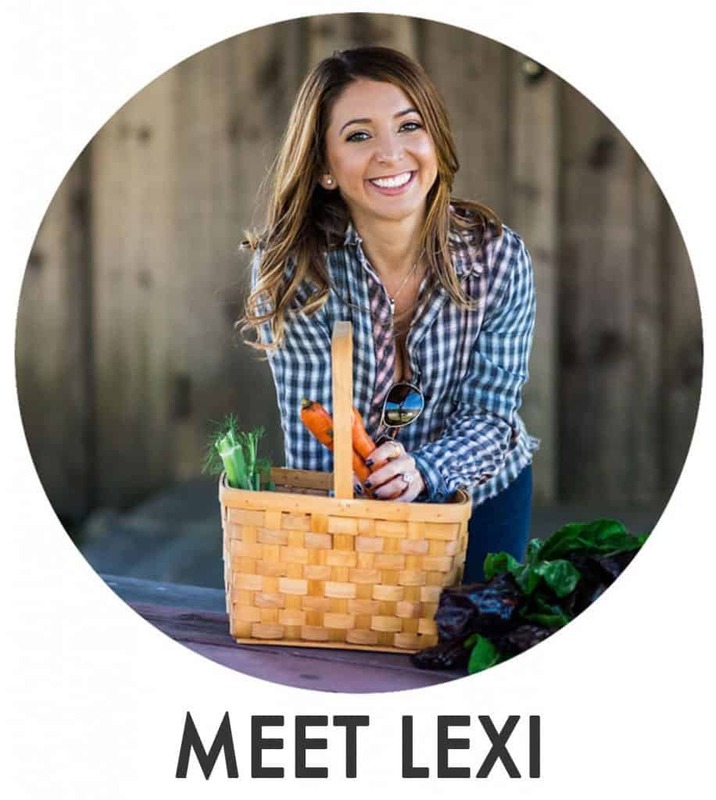 I hope my little blog continues to impact you and help you on your clean eating journey, or whatever journey you may be on. Now, let’s talk muffins. Seriously, these are the best way to sneak zucchini into your picky child/husband/partner/family member’s food. You can even peel the zucchini so they’ll be invisible within the muffin and your picky eaters will never know the difference! Grab one when you are running out the door, or for a guilt-free mid-day snack. They freeze well, too! In a medium mixing bowl combine almond flour, coconut flour, salt and baking powder to combine. Fold in grated zucchini and dark chocolate. Fill muffin liners with a heaping 1/4 cup of batter and bake for 20 minutes. This recipe was updated on 4/19/2018 to make for lighter, fluffier muffins. How do you sneak veggies into food? Congrats on your new home and your anniversary, both so great! These are amazing by the way, one of my favs. Have a great week! You should be SO proud! I’m honoured to have been a part of even a tiny piece of your journey. Congrats gorgeous! Can’t wait to see what the future and your new house will bring!!! Happy one year blog anniversary!! 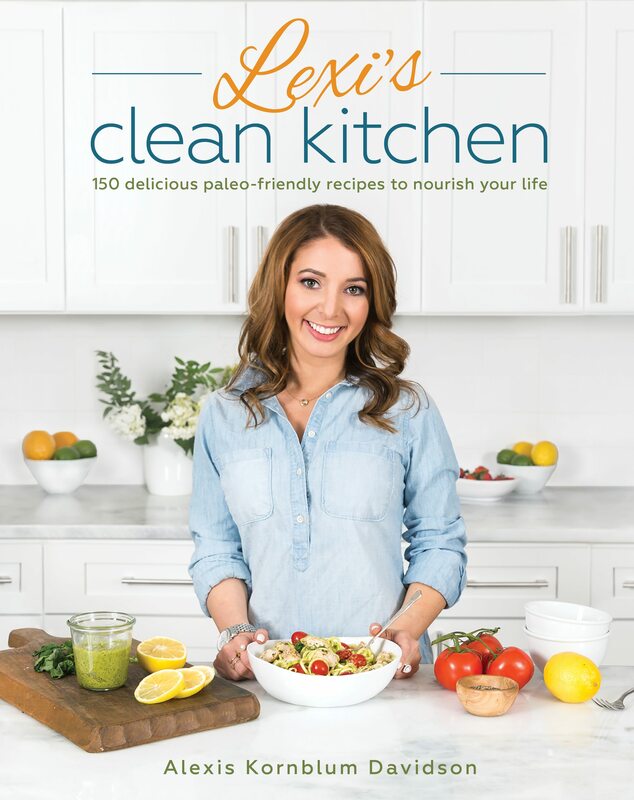 I am a big fan of your recipes and always enjoy reading your blog. These muffins look amazing! I can’t believe there’s zucchini in them! Is there any substitute for the coconut flour and tapioca starch? That would change the recipe. You can likely sub more almond flour for the coconut flour and with some adjustments, remove the tapioca. 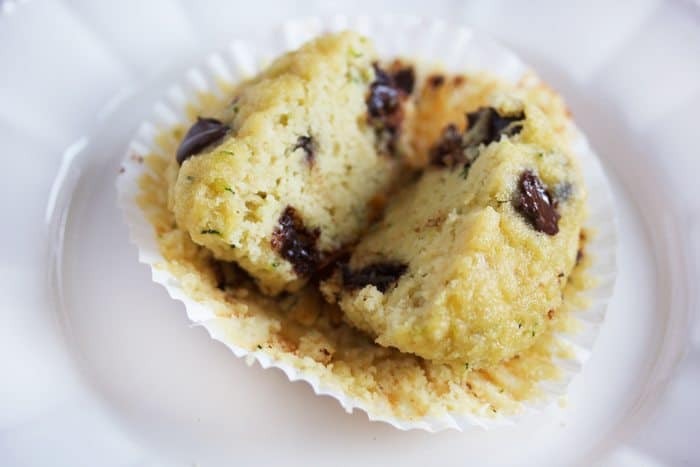 See older muffin recipes on my page, those don’t include tapioca. 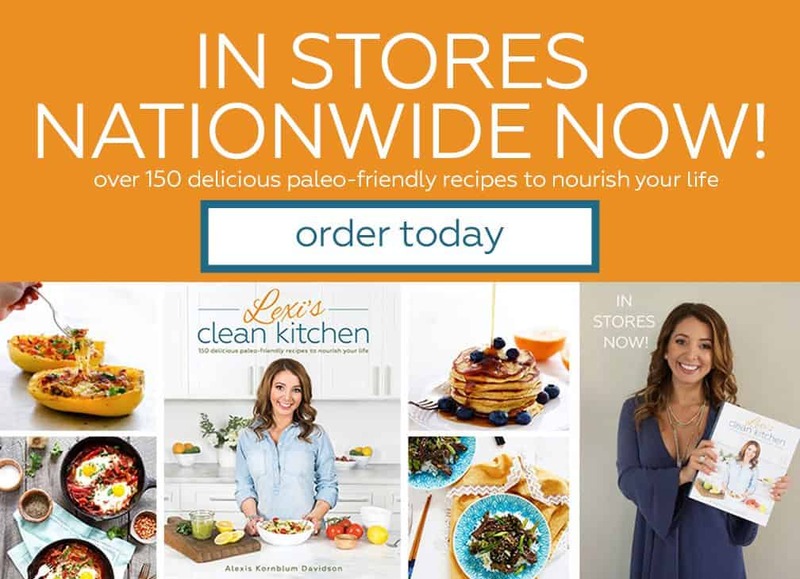 Can arrowroot starch and tapioca starch be used interchangeably in baking? Not all the time, but it may work in this! Was wondering if I could make this recipe into a ‘bread’ instead of muffins if you thought that would work? Hi Lexi! You blog was recommended to me by my nutritionist. This recipe looks great! I tried making these muffins but had some trouble with the final product. I baked for 15 minutes at 350, but they weren’t ready, so I ended up baking for another 10 minutes total at 2-3 minute intervals. They still seemed a little gooey, but I figured at 25 minutes they must be done. After they cooled I tried one, and the inside still had the texture of raw dough – and with the 3 eggs I was concerned about eating them. Any ideas? I have not used almond flour before and presumably it is more moist? That’s odd– these definitely cook through nicely. Did you follow the recipe exactly? Do you squeeze out excess liquid from the zucchini or just use it straight up shredded? Same thing happened to me that happened to Jackie. I followed the recipe exactly and they were not at all done at 15 minutes. I cooked 10 min longer and finally took them out. They were still gooey. I read the comment where you asked Jackie if she squeezed the water out of the zucchini. I shredded it fresh and there was no dampness. I’ve baked with zucchini before so I know what you mean about the moisture. I’m not sure what I did wrong. These were good but a little bland. Didn’t stop me from eating them all! haha – I might have added too much zucchini or not shredded it fine enough. I would make again and maybe add a little dash of cinnamon or something to help liven up the flavor a bit. I don’t see the amounts for the honey or vanilla. Am I missing something? Hi Shannon! 1/4 cup honey and 1 teaspoon of vanilla! Enjoy!